Health maintenance doesn’t need to be painful to work. In fact, stress management leads to a stronger heart, less chronic pain and a healthy weight. 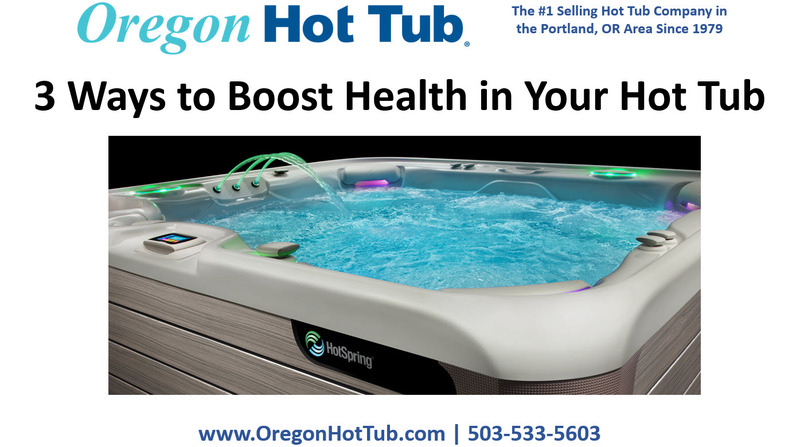 Here are three ways a relaxing hot tub soak can boost long-term health. Using a hot tub is a smart way to control stress build-up. Sink into soothing relief as jet-stream-guided massage release all the day’s tension. Target tight muscles in the neck, back, and shoulders for deep relaxation of mind and body. With a hot tub at home, it’s easy to enjoy the benefits of massage 24/7 without a costly appointment. Powerful heated jet streams knead away neck, shoulder, back, and even mind tension, leaving you ready and energized to face another hectic day. Take back your nights with an evening soak in your hot tub. Massaging jets trigger an endorphin release for a more restful state of mind. And a drop in core temperature when you exit the tub promotes the best natural sleeping temperature for a deep sleep.